A disagreement during Sunday's defeat to Manchester City spilled over into West Ham training on Monday morning. 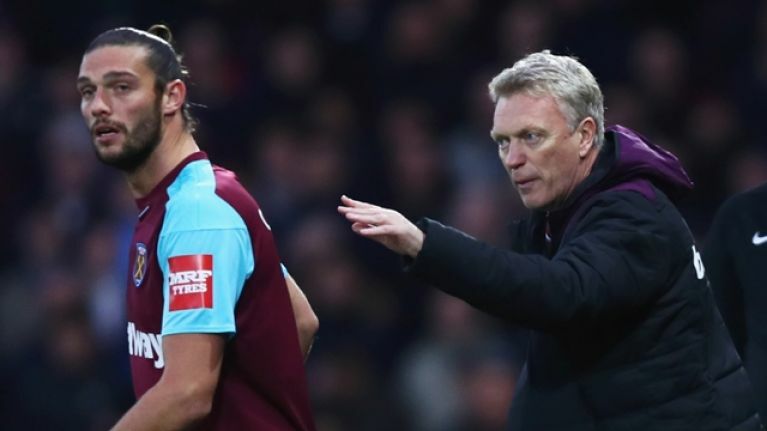 West Ham manager David Moyes was involved in a heated training ground exchange with centre-forward Andy Carroll, according to a report from Football London. Moyes had vowed to "deal with" Carroll after he reportedly stormed down the London Stadium tunnel when he remained an unused substitute during the heavy defeat and that apparently resulted in a somewhat hostile discussion at the Rush Green training ground the following day. In the 66th minute, Moyes brought on Joao Mario, Javier Hernandez and Arthur Masuaku but the decision to not send on Carroll didn't sit well with the striker and reports claimed that he angrily marched away from the substitutes' bench after the changes were made. "It's something I'll deal with," Moyes told Sky Sports after the game. "In this situation what you need is everybody to be a team member so if he has done that, I'll look at it and I'll deal with it." 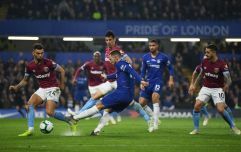 The Hammers struggled throughout their 4-1 defeat to the Premier League champions and the inability to affect matters clearly frustrated Carroll. The 29-year-old could well face disciplinary actions for storming off the substitutes' bench and/or for Monday's training ground altercation.